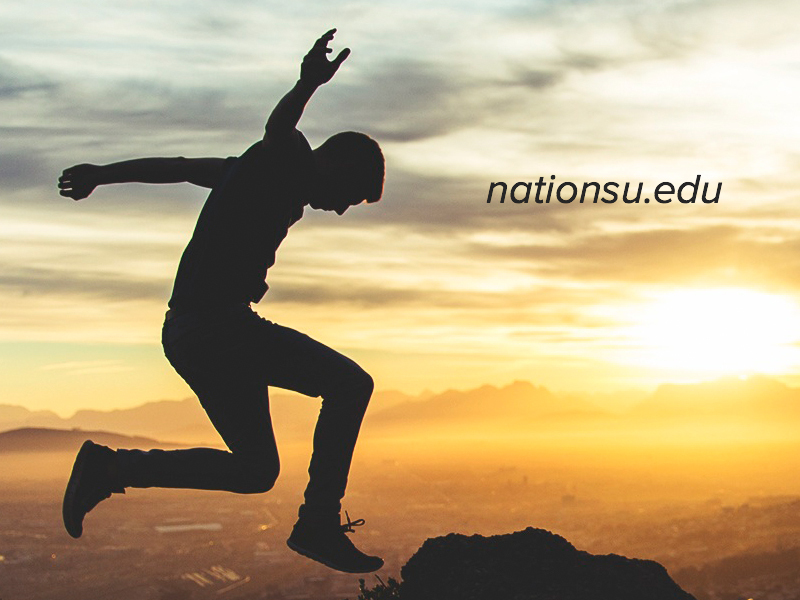 NationsUniversity is an accredited online college dedicated to bringing affordable Christian education to people all over the world. While the affordability and convenience of their programs are definite pluses, their site simply wasn’t doing the school justice. They had no real branding. No graphic standards. No funnel to speak of. Our goal was to take the site from a passive, somewhat generic brochure-ware site to a more dynamic, marketing driven site that not only offered a better experience for users but also worked harder for the organization — something much more capable of turning a prospect into a lead and a lead into a student. The new site, above. 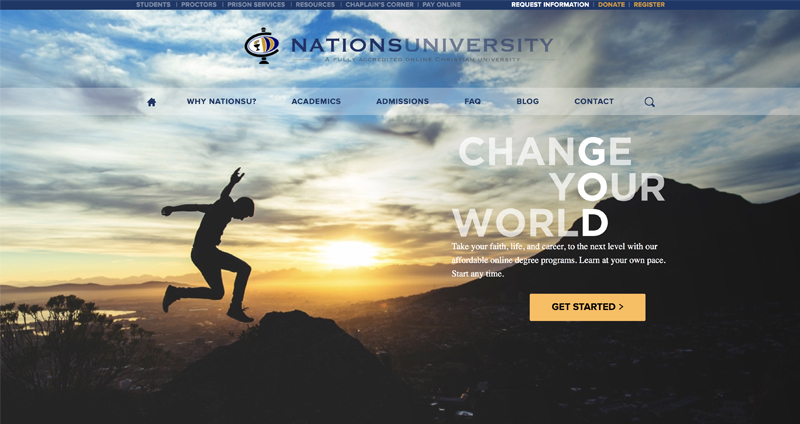 “Change Your World” is the branding theme/device I created for NationsU. 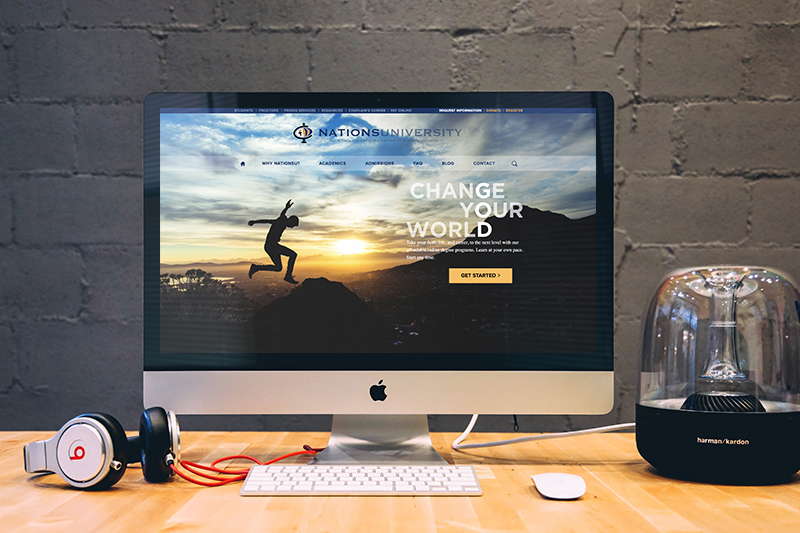 It’s not just a phrase but a graphic mnemonic device, with the word “GOD” highlighted within the phrase “Change Your World.” Check out this page to see more of the Change Your World work. A screen cap from our “Best Practices Audit.” I typically will study dozens of direct and indirect competitors, asking the question, “What do the big boys do that we should be doing?” What do all successful players in this category have in common? Those findings are invaluable during the discovery and planning phase. One of the larger issues with the site was the navigation. It was very easy to get lost. Figuring out how to register was tricky. And the site never really asked or told prospects what they needed to do to take the next step. 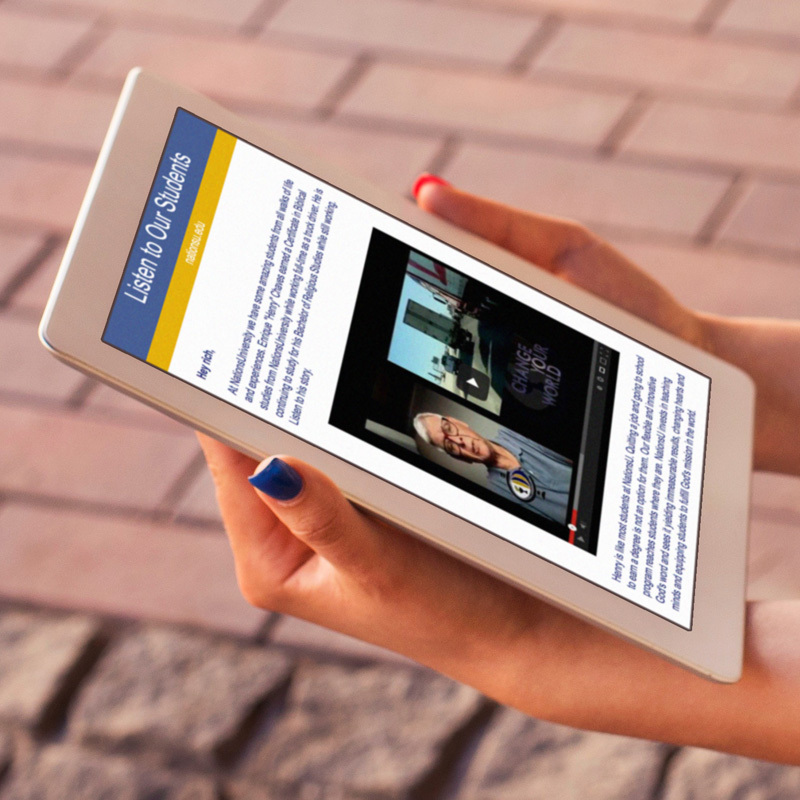 We overhauled the navigation and increased the ways in which prospects could interact with the school in order to begin building relationships. This is just the home page, of course but as you can see, the site was designed to raise the stature of the university while anticipating and addressing potential objections among prospects. With tuition prices far below their nearest competitor, we wanted the look, feel and language of the site to inspire confidence. Additionally, we made extensive use of testimonials and stats to reassure prospects that this was a quality school they could trust, just as thousands of others had in the past. One of the single most important things we did was helping the client implement email drip campaigns, which are segmented by program and country. After putting the finishing touches on the site and activating the appropriate tracking and measurement tools, we took the new system out for a spin. 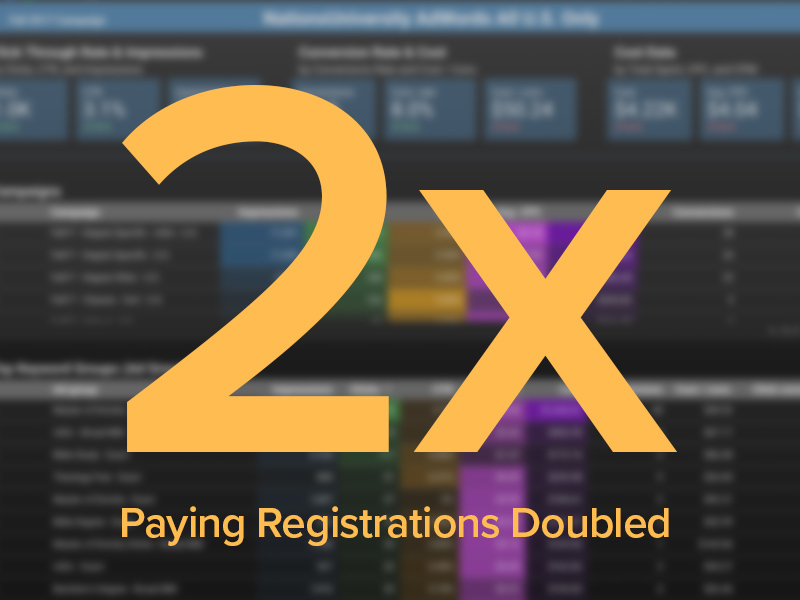 I put together an AdWords campaign that doubled paying registrations (from the previous period) right off the bat (using a very modest budget I might add). Over 70% of RFI’s (Requests For Information) generated by prospects were coming through AdWords. The web developer/designer I worked with on this is named Amy Dutton, who is great and whose contribution to site design and development can’t be understated. The entire project was initiated by my friends at Hummingbird Productions. Marketing. 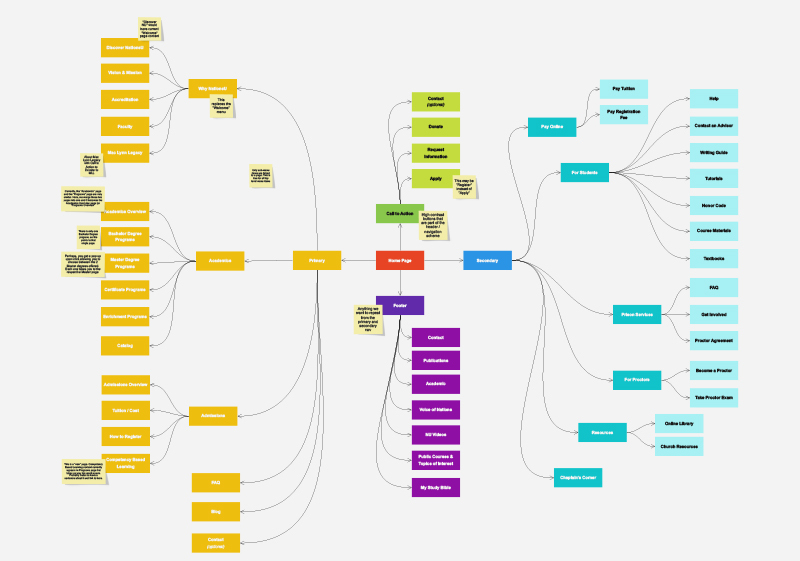 AdWords (strategy, setup, management, ad creation), Google Data Studio (for reporting).